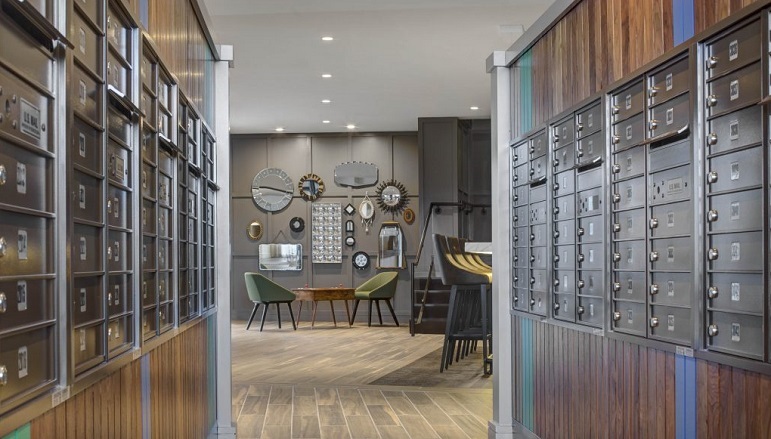 Sure, our community features luxury apartments with high-end features, spacious layouts, and beautiful finishes in every corner, but that’s not all you get when you live at The Kendrick. Take a look at some of the spaces that make This Toll Brothers Apartment Living community truly exceptional. It’s in the name; It is great. It isn’t just a showpiece where you don’t feel right sinking into a chair with your laptop. With its cozy fireplace, lounge seating and soaring ceilings, this room perfectly blends elegant design and welcoming layout for all residents and guests of The Kendrick. Entertaining is an essential part of life, whether it’s friends, family or colleagues, you need a place to host a larger gathering than what any apartment can comfortably hold. We’ve Got you covered. The kitchen and pub room are available for residents to rent for private functions and are otherwise open for all residents. Pull up a stool to the bar and have a drink in a place where everyone knows your name. No, not Cheers, it’s the pub in your own home. 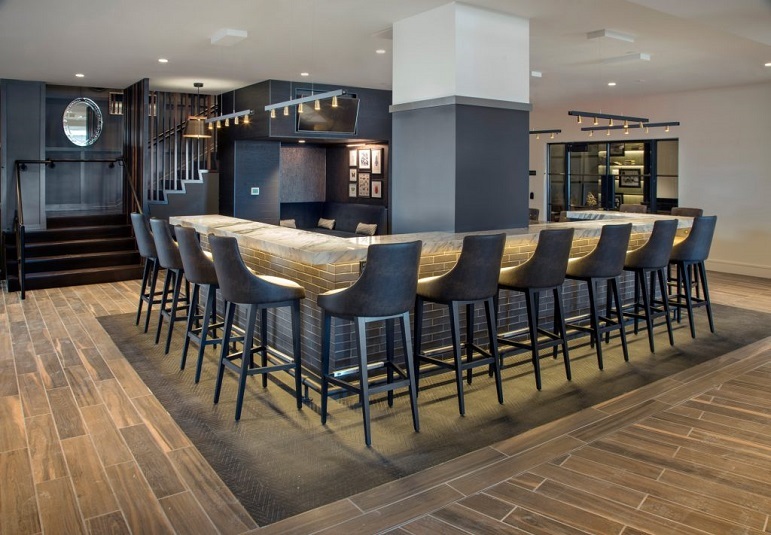 Who wouldn’t want a low-key, bar-like atmosphere right downstairs from your apartment? Add to that the selection of games and seating to put you at ease while challenging your guests to pool or tabletop video games. We’ve used the spaces for resident events including pizza and craft beer nights, which went over spectacularly. Grooming pets can be a challenge at the best of times, so why not do what professional groomers do and have a purpose built space to clean your furry friends? We’ve got your back with a dedicated pet spa, that may not be quite as relaxing as a spa for you, but you’ll appreciate all the tools and to make your job easier. Big TV, comfy seating, great sound, this is where you should have any viewing where you want to get the feel for what you’re watching. 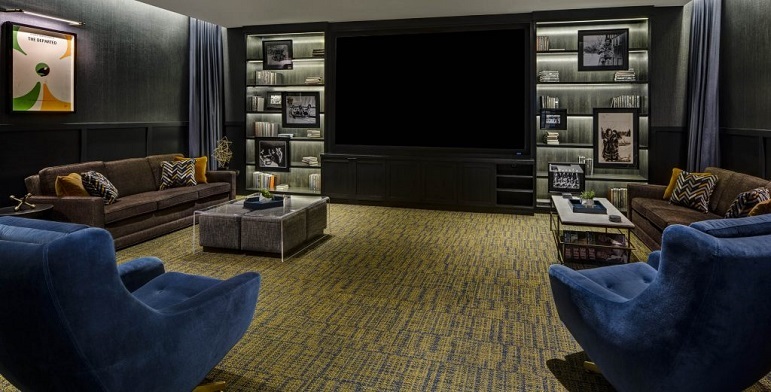 Sports, cinema, home movies, whatever you’re planning to watch the media room can make it an event. Yes, there are books you can borrow, but the main goal of our library is to have a quiet space where you can come to sit back with a book and enjoy yourself. If you want to step out of your place to find some peace or get some work done, this is the place. Take a seat and peruse your mail with a piping hot cup of coffee, or latté, or hot chocolate—our coffee machine has quite a few different drinks you can choose from. It’s a simple space for simple pleasures. In addition to the more social spaces, there’s also a three-story fitness center. From Peleton® bikes to free weights and a climbing wall, there’s so much here it deserves its own post, which it has. Check out the full story (of all three stories) here. Don’t just take our word for it that these are the apartments in Needham, MA where you need to be. Schedule your tour of The Kendrick today to see for yourself how good life can be at The Kendrick.